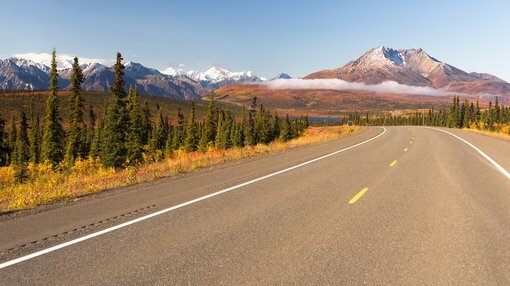 White Rock Minerals Ltd (ASX:WRM) has updated the market on its plans to conduct a comprehensive exploration program at its 100% owned zinc VMS project at Red Mountain, Alaska. The company has now completed the mobilisation of the major items necessary for its planned exploration program, with the diamond drill rig and camp accommodation, as well as support infrastructure, now at the camp site alongside the airstrip at Newman Creek. Mobilisation of the drill rig and camp accommodation at Red Mountain. Last month it announced it had awarded the drilling contract to Frontier Exploration, just days after Canada’s oldest and largest independent research firm, Fundamental Research Corp, started covering the small-cap. FRC’s coverage represents the third independent valuation, with DJ Carmichael and Independent Investment Research releasing reports about WRM last year. In the report, FRC values the Red Mountain Zinc-Silver VMS Project at A$42.6 million, equivalent to 5 cents per WRM share. The company’s share price is currently $0.009. 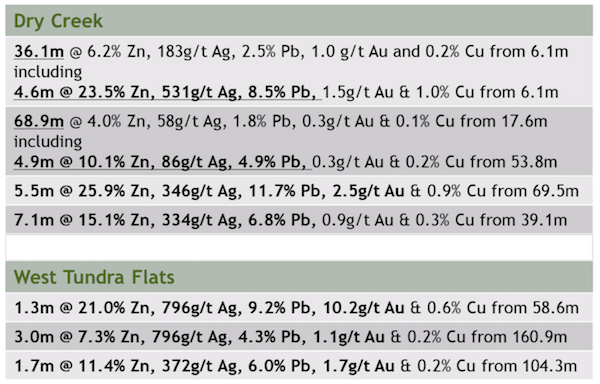 a follow-up diamond drilling program on the best of the more than 30 already identified exploration targets. 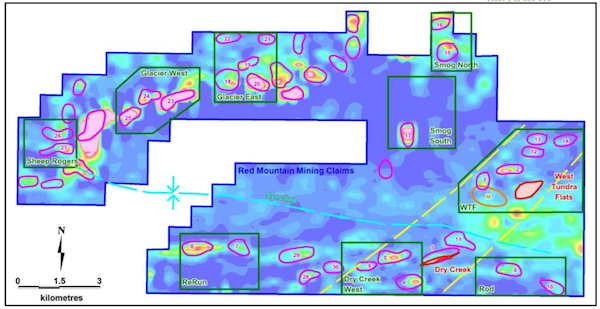 At the same time, WRM is currently undertaking a share placement and entitlement offer, with the aim of raising a total of A$5.2 million to fund exploration activities at Red Mountain. It should be noted that WRM is an early stage play and anything can happen, so seek professional financial advice if considering this stock for your portfolio. 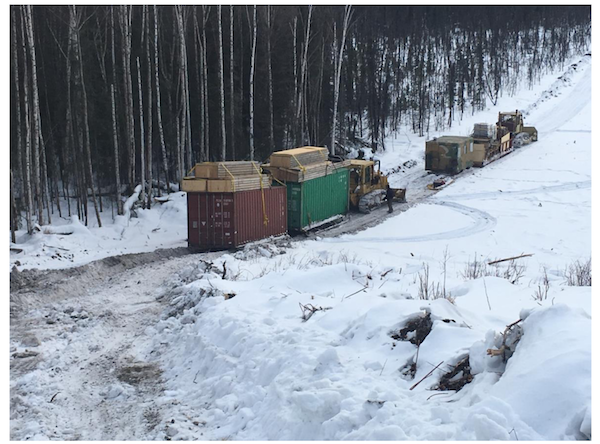 Depending on weather, the initial drilling campaign is set to commence in late May or early June, with the key objective of infilling and extending the maiden Resource which already has two identified deposits — Dry Creek and West Tundra Flats. “The company is very excited about the potential for its globally significant high-grade Zinc VMS Project at Red Mountain, and the news flow that should come from a successful exploration program here. The company announced an Equity Raising of up to $5.2 million through a Placement and Entitlement Offer on 21st March. “We have successfully closed the Placement component, heavily over-subscribed, raising A$1.6M (before costs). Existing eligible shareholders now have an opportunity to participate through the 1 for 3 partially underwritten pro-rata non-renounceable entitlement offer of fully paid ordinary shares and 1 for 2 unlisted options, to raise up to $3.6 million. The first A$1.6M of this Entitlement Offer is underwritten by DJ Carmichael. “The funds raised from the Equity Raising (after costs) will be used to fund White Rock’s exploration activities at its globally significant high-grade zinc VMS Red Mountain Project in Alaska and for general working capital purposes. It is planned that approximately two thirds of this will go directly into the ground at Red Mountain, either from the drill program, or the on-ground geochemistry and geophysics work programs. “This two-pronged exploration approach should generate significant news flow as we drill to infill and expand the existing high-grade maiden Resource and identify the next round of drill targets that should come from the more regional geophysics and geochemistry exploration programs planned. “Since acquiring the Red Mountain project in early 2016, we have expanded our strategic footprint 10-fold, to 143km2, and have also released a maiden Mineral Resource that immediately placed the Red Mountain Project in the top quartile of undeveloped high-grade VMS (zinc, silver, gold) deposits globally. “Importantly, the two deposits identified within the company’s extensive land holding immediately placed the Red Mountain zinc project as one of the highest grade and more significant deposits of any zinc company listed on the ASX and an important VMS asset within a global context. Our drill program for the 2018 summer field season aims to further build on our geological knowledge of the mineralisation, increase confidence in the Resource base, expand the already globally significant Resources at the existing deposits and discover new deposits. High priority conductors (pink) on a conductivity depth slice at 40 metres below surface from the 1D inversion of airborne electromagnetics at Red Mountain.